There has never been a better time to do business in Durham. 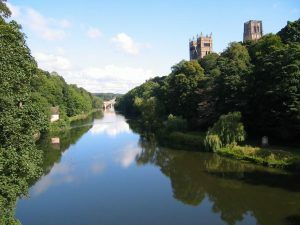 From the multimillion pound redevelopment plans currently underway in the historic cathedral city, to the £12.6 million expansion of the county’s flagship science park, Durham is buzzing with investment and opportunity. As the economic development organisation – working on behalf of Durham County Council and the largest commercial property landlord in the region – Business Durham has links to a wide range of industrial units, office spaces and laboratories to support your growth plans. “We’re a landlord people can trust,” says Peter McDowell, business property director with Business Durham. One place offering businesses the chance to shine is the North East Technology Park (NETPark) in Sedgefield, which is already home to a number of internationally recognised science and technology companies. NETPark is uniquely placed to offer a dynamic and supportive environment to accelerate growth into global markets. It brings a like-minded community together in an exceptional environment, with links to a readymade manufacturing supply chain and a talented workforce. The park is currently enjoying an ambitious £12.6 million expansion programme that will see Explorer units offering bespoke laboratory, clean room and office spaces ranging from 3500 ft to 5000 sq ft. Completed to client requirements, Explorer units provide grow-on space for graduating incubation companies, as well as established businesses which are looking for room to expand. Other commercial sites in County Durham offering scale-up support include the award-winning Salvus House, Durham County Council’s flagship 30,000 sq ft office space and business incubator unit at Aykley Heads, which has already attracted several industry leading businesses to its accommodation. Salvus House boasts incubation, office and desk space for lease for one to 90 people and is now home to firms in the finance, accounting, engineering, communications and digital design industries. Food Truck Friday events – which lure tenants with the aroma of Greek kebabs and gourmet burgers – also adds a sense of community. Meanwhile, prospective small business owners will soon be able to get access to the Durham City Incubator, an intensive programme of support from New College Durham and Durham University due to start in April 2018. Peter adds: “Salvus House is a flagship office space that has hot desks and smaller offices in the incubation centre and larger officers for bigger companies. Aykley Heads and Durham City, in general, is a place where companies can have their HQs or their local offices. The county is proving to be a fantastic place to live and for businesses to grow and thrive – whether they’re small start-ups or bigger companies looking to scale up. based bank, Atom, to train giant Hitachi, companies have found that the support of innovative Business Durham has been one of the major benefits of moving to the area. And Business Durham is much more than simply a landlord. The team can offer extensive connections and networking opportunities, growth support and training advice, as well as access to finance. Business Durham has even launched its own innovative investment fund, Finance Durham, to support the growth of high potential businesses located in, or looking to locate to the county. Finance Durham will invest between £200,000 and £700,000 per business to support the growth plans of businesses of all sizes and invest in some of the most dynamic industry sectors. Ten per cent of the fund is also available to invest up to £40,000 per company in start-ups. The fund has already made its first investments, including in Durham Gin, which is set for rapid growth thanks to an injection of £250,000. Founded in 2014 by former NHS chief Jon Chadwick, Durham Gin is a small-batch craft distillery that creates spirits using a 400-litre copper pot. The company, which is now one of the region’s leading craft distillers, produces gin, vodka and gin-based liqueurs sold under the Durham Gin and Durham Vodka brands. The new site will also include a new visitor centre, which will provide guided distillery tours and host private and corporate events. Alongside fulfilling its innovative expansion plans, the Finance Durham funding will also support the launch of Durham Whisky, the North East’s first ever whisky.